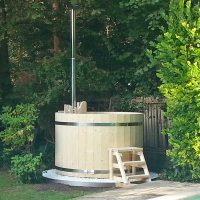 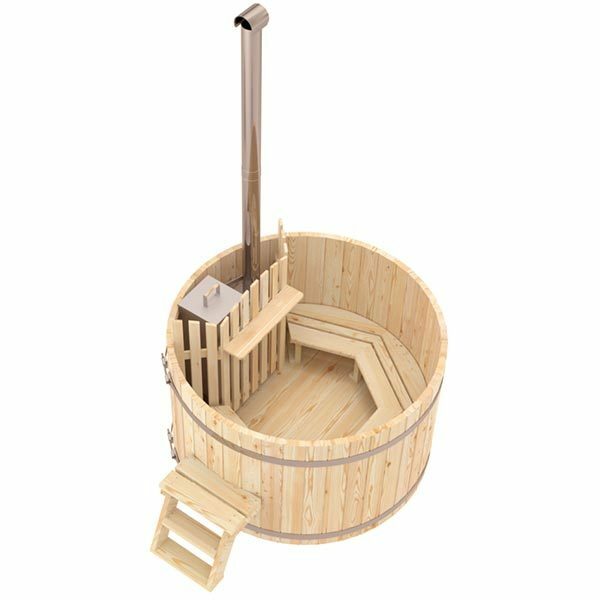 Nowadays wooden hot tubs with a built-in stove have gained significant popularity among spa and wellness products. 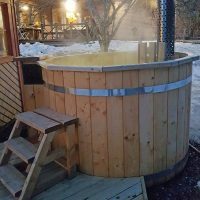 This tendency can be explained by unique qualities of the material used for production of hot tubs. 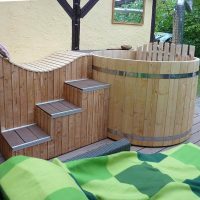 Wood is not only strong, practical, and sustainable building material, but it is also absolutely natural and good for human health. 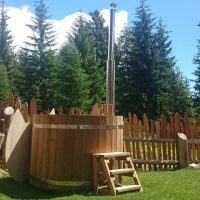 For example, spruce essential oil is widely used in aromatherapy, due to its ability to relieve symptoms of upper respiratory tract infection and strengthen immune system in general. 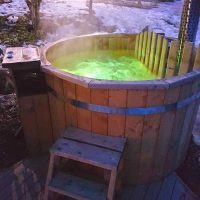 In addition, inhaling vapours from spruce essential oil will promote relaxation, reduce anxiety, and improve mood. 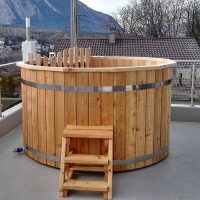 Larch is also famous for its healing qualities. 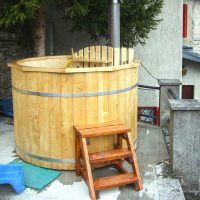 It is especially useful as antibacterial, antiinflammatory and wound healing remedy. 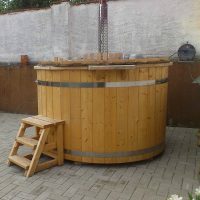 Indeed, carefully selected wood is an extremely important part of the hot-tub production. 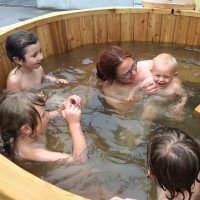 We can assure you that relaxing warmth of hot water and the air, filled with heady scent of wood will become your best remedy for cold, stress, tiredness and depression. 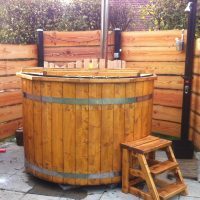 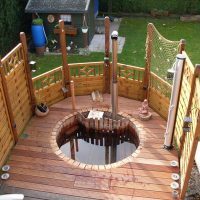 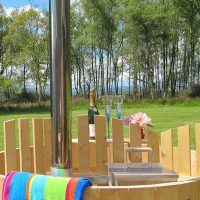 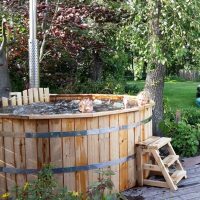 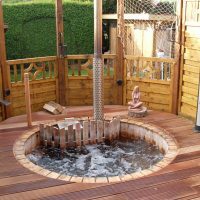 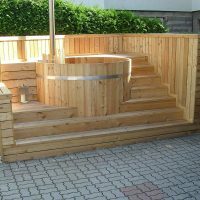 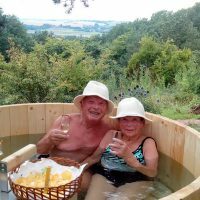 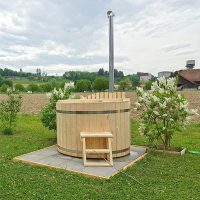 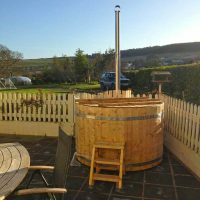 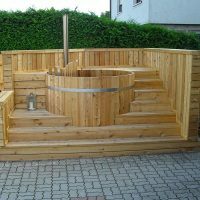 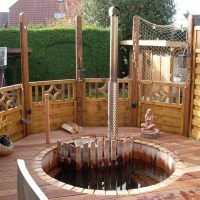 Wooden hot tub with a built-in stove is divided into two parts: a smaller area with a stove, which is separated by a protective fence, and a bigger area – for bathing. 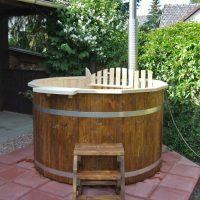 Built-in wood-burning stove heats the water in the tub for approximately 5° in an hour. 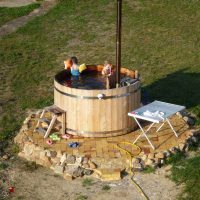 It should be noticed that the speed of temperature rise depends on several factors. 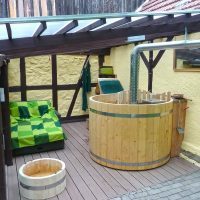 For example, diameter of a hot tub, the amount of water, presence/absence of a cover, outside temperature and, of course, type of firewood. 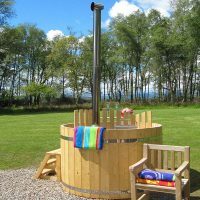 Please notice, that coal cannot be used for stoking the stove, while dry birch would become the best choice.